Activity: All the following activities are going on, on self-help basses. 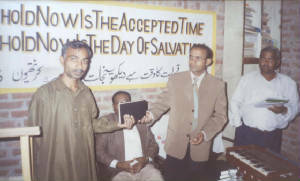 1-Sunday Services: Our Pastors & Evangelists take Sunday services in their localities on Sundays. 2-Prayer Meetings: We are arranging prayer meetings in a week at different locations by forming prayer groups. These prayer groups are the backbone of our ministry. 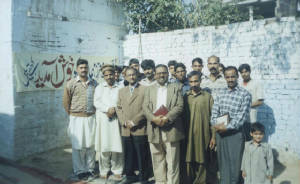 3-Monthly Pastor Meeting: We organize monthly pastor’s meeting in every first week of the month. Pastors share the Gospel and their experiences with each other. In this way they uplift each other by the word of God and with own testimonies. 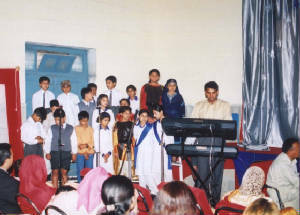 4-Music Ministry: We are also running music ministry. This ministry is very useful in our seminars and Crusades. 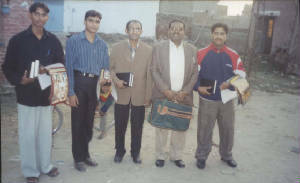 5-Soul wining Programs (Out Reach Program): We go for evangelism door-to-door and shop-to-shop and give them free Bibles and other books of Christian literature. 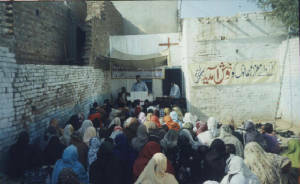 6-Free Bibles Distribution Program: We are distributing free bibles among poor people. Who cannot afford. 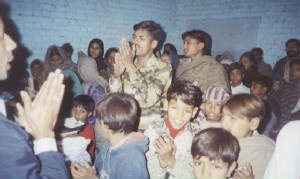 We give them Gospel free of cost. 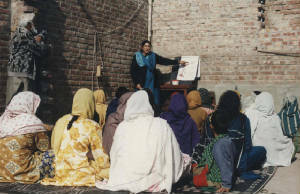 7-Jesus Vision School System: We are running some adult education schools in deferent locations. We give them free education by giving them books and stationery. We are doing all these things on self-help bases.